This year, Black Friday falls on Friday 24th November, with Cyber Monday following on 27th. Amazon has opened their ‘Black Friday’ sale today - a week before the real event. It’s essentially a pre-sale, offering daily deals until the big day. Tesco is following suit on 20th and offering a 7-day sale event, and we’ve discovered Argos and Very already have their ‘Black Friday Events’ running, turning it into ‘Black Fortnight’. You may have mixed feelings about Black Friday, but the facts speak for themselves. It’s MASSIVE. Wait, this isn’t about the Wall Street Crash? Ok, so what’s all the fuss about? 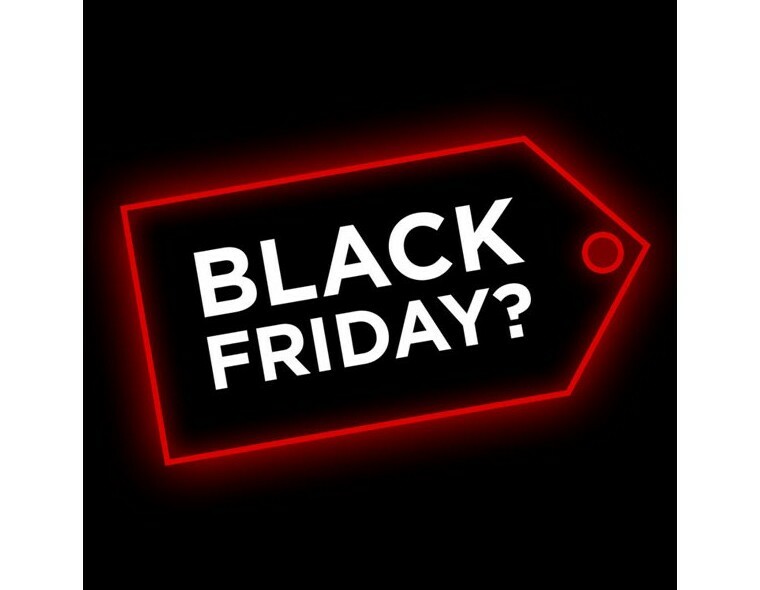 Black Friday hit the UK in 2013 when Asda (owned by American giant Walmart) started offering huge discounts on tech products in store. The following Monday (Cyber Monday) is typically the busiest day of the year for online shopping. Whilst experts don’t believe either day is making consumers spend more, they do believe it’s making them spend sooner. That means it’s increasingly important for business owners to get involved. In 2016, major players were reporting significant increases in revenue compared to the previous years (as much as 20%) and, not surprisingly, 64% of shoppers made their purchases from a mobile device. But the craziest stat of all comes from ‘cart abandonment emails’ (those emails asking “whether there was a problem”, after you decided you didn’t need another TV), which OMETRIA claims to increase revenue by 240%. Apparently, you did need it after all. Another interesting fact is that pre 9 am sales were considerably higher in 2016. And John Lewis saw a 21% increase between the hours of 8-9am. Having your sale online early in the day is important – especially as this is a weekday we’re talking about. The type of product you offer makes a difference too. Tech products are generally top of most people’s list – as they’ve historically been sought after by thrifty Black Friday shoppers, who have even been known to throw punches to grab their reduced goodies. After tech, it’s toys. Many parents hover on the brink of bankruptcy to delight their little darlings to the must-have Christmas toys of the year, so why not try to grab a bargain if you can. Other top sellers are home appliances and clothes. Should you be getting involved? Are you thinking Mobile first? Have you ever tested your sales process start to finish and is it as smooth as it can be? Maybe it’s time to address your mobile strategy. Do you have a retargeting strategy in place? Those abandon cart email results are pretty impressive. Choose your best products - a disappointing sale won’t result in sales, or people returning the following year. If you have tech, home, clothing or toys, what sales can you offer? Get organised and grab the early morning shopper - make sure you advertise your sale in advance and set it live in the early hours of the morning to grab people before they start work. It’s no longer a one-day event - it’s at least 4, covering the whole weekend.